This 7,000-square-foot, $2.7 million building on the north side of the Kansas Union was dedicated April 25, 2008, and named in honor of Lisetta and Carmine Sabatini, parents of donors Frank Sabatini, who holds KU degrees in business and law, and Nella Sabatini Dinolfo. It was funded by a $1 million gift from the Sabatini Family Foundation of Topeka, student fees and other university sources. Designed by Gould Evans Associates, it houses staff and program offices, an auditorium, and academic support and study rooms for students. Capping the observance of the School of Pharmacy’s 125th year was the dedication Oct. 22, 2010, of its new building in the West District. The northern of two five-story, freshman-focused residence halls designed by Treanor Architects of Lawrence, it houses men and women in single-, two- and four-person suites; it is part of a quadrangle with Oswald, Templin, Lewis, Ellsworth, and Hashinger residence halls. 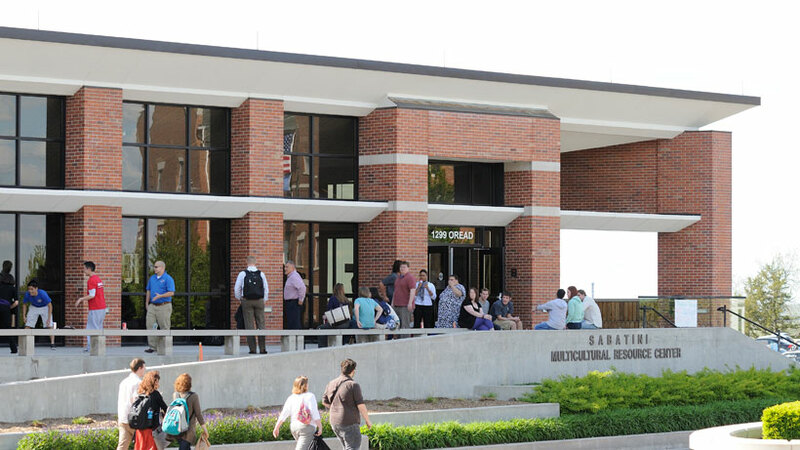 The center, originally dedicated Oct. 15, 2004, was renamed in honor of longtime professor and administrator Delbert M. Shankel on April 15, 2010. Its original centerpiece was an 800-megahertz magnetic resonance spectrometer for use in medicinal and pharmaceutical chemistry research. A $22.2-million, 44,000-square-foot addition to the west side was dedicated Oct. 23, 2008. Two new wings house the Specialized Chemistry Center and the labs and students of Blake Peterson, a Kansas Bioscience Authority Eminent Scholar. This concrete and brick building, completed in summer 2007, was designed by Kenneth O. von Achen Chartered Architects. It houses shops for electricians, plumbers and painters; a recycling transfer facility; warehouse storage; a boat-storage area for the Kansas Biological Survey; and a geophysics shop. The $3.7 million project included an addition to the Facilities Operations Warehouse to the south. 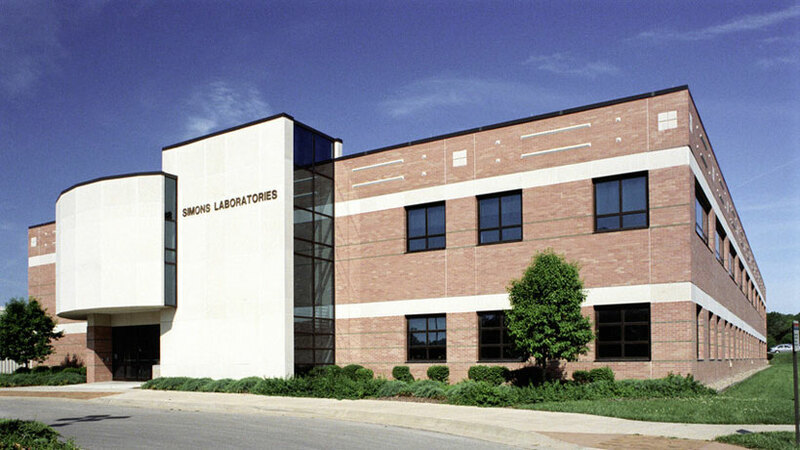 The research lab, dedicated May 6, 1996, and part of the Higuchi Biosciences Center, is named for Dolph Simons Sr., longtime publisher of the Lawrence Journal-World newspaper and a key figure in bringing distinguished chemist Takeru Higuchi to the university in the 1960s. The $1.1 million research center was designed by Hazard, Van Doren & Stallings of Topeka and dedicated May 5, 1978. It is named for Edward E. Smissman (1925-74), professor and chair of medicinal chemistry and University Distinguished Professor, and is part of the Higuchi Biosciences Center in the West District. Dedicated Oct. 8, 1967, Smith Hall houses the religious studies department, faculty and administrative offices, classrooms and the William J. Moore Library. It occupies the site of Myers Hall, which had housed the Department of Religion since 1907. 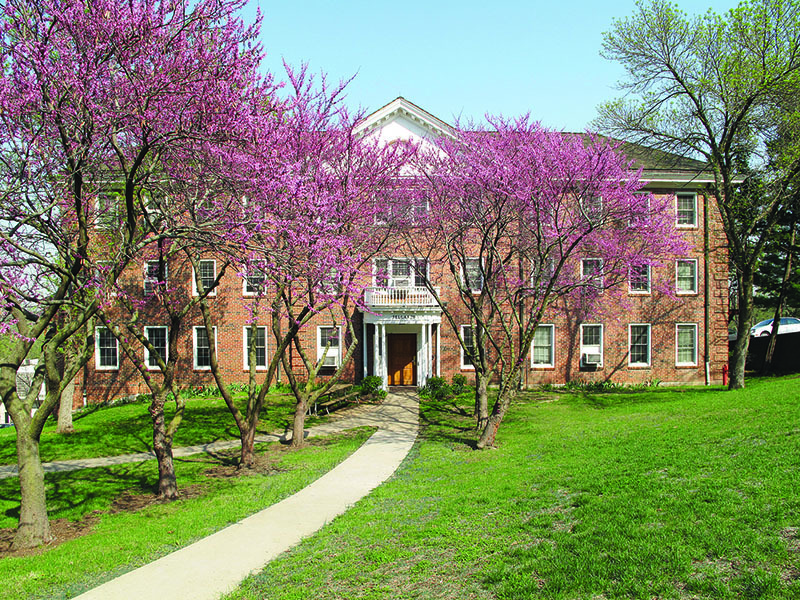 Myers was built on the site of the Rush farmhouse, purchased in 1901 by the Christian Women’s Board of Missions, Christian Church, to house the Kansas Bible Chair, offering courses in religious history and the Bible. The hall was also used as a social center and public lecture space. State Architect Charles Cuthbert and H.H. 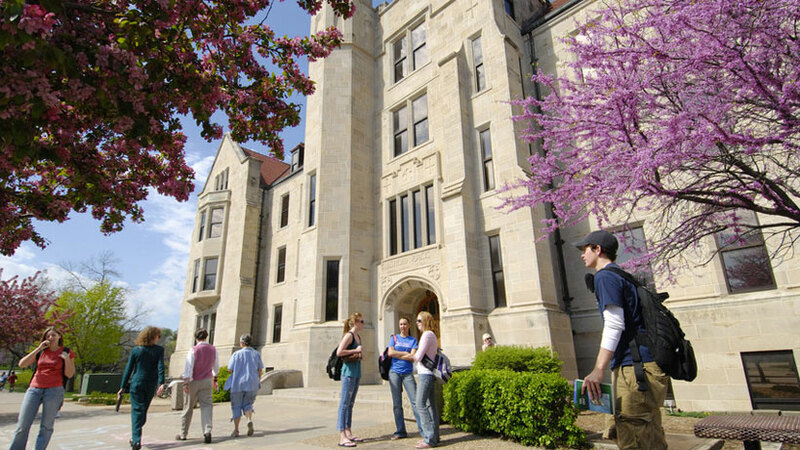 Lane of the zoology department collaborated to design this Indiana limestone building in a modified Collegiate Gothic style. 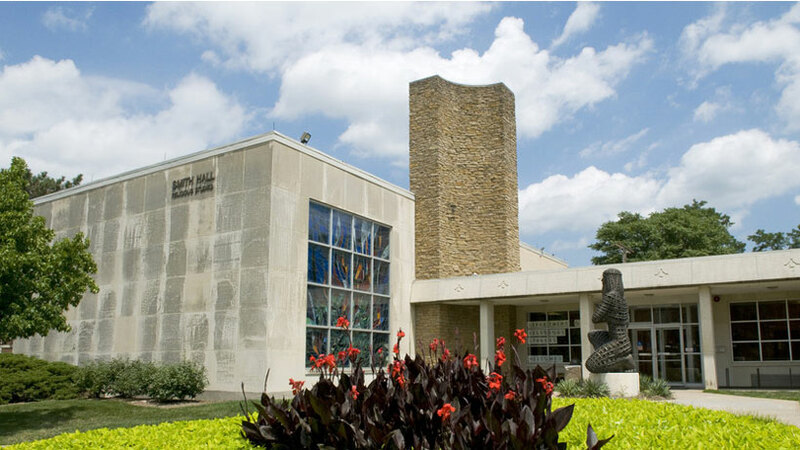 The museum, dedicated in September 1977, was built with funds from the Kenneth A. and Helen F. Spencer Foundation. 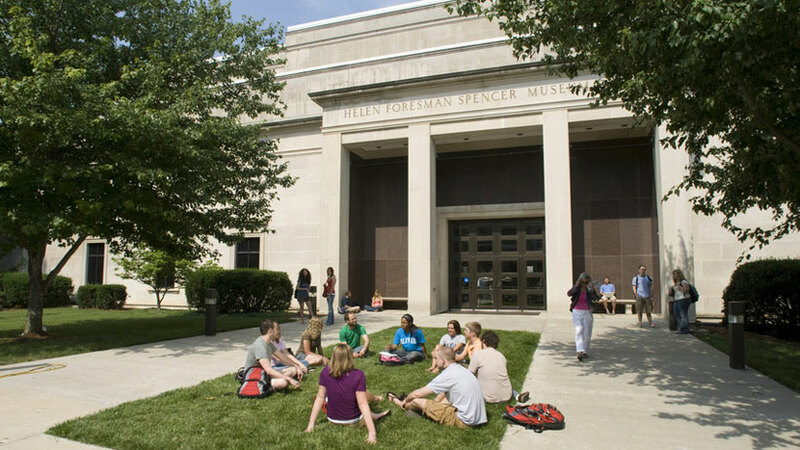 It is named for Helen Foresman Spencer, a student in the 1920s who married Kenneth A. Spencer, a 1926 graduate who founded a chemical company and the Midwest Research Institute in Kansas City, MO. 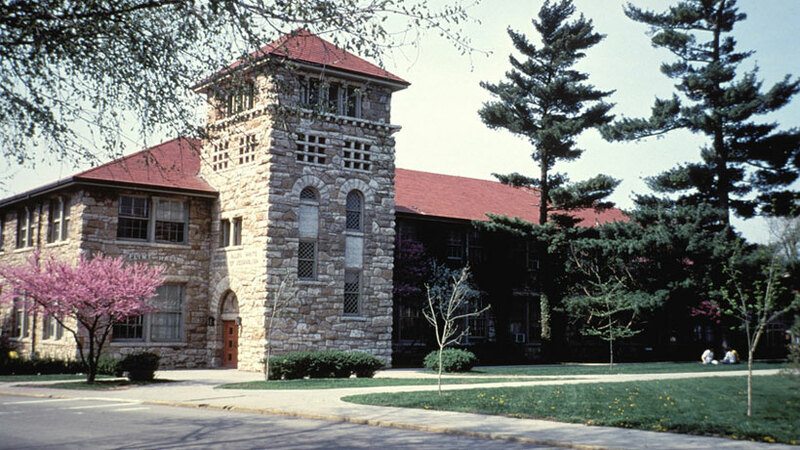 Like the Spencer Research Library, which she also funded, the museum was designed by architect Robert Jenks of Kansas City, a KU classmate of the Spencers, and built of white Indiana limestone. 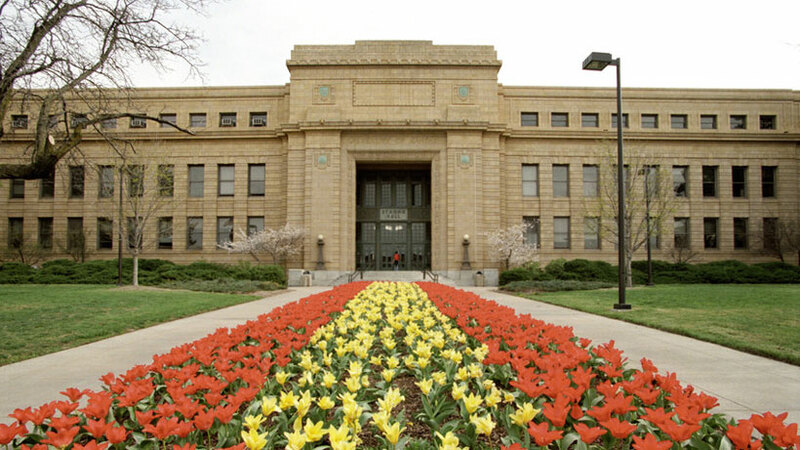 This neoclassical building, which opened in 1968, honors Kenneth A. Spencer (1902-60), a 1926 graduate who founded the Spencer Chemical Co. and the Midwest Research Institute of Kansas City, MO. 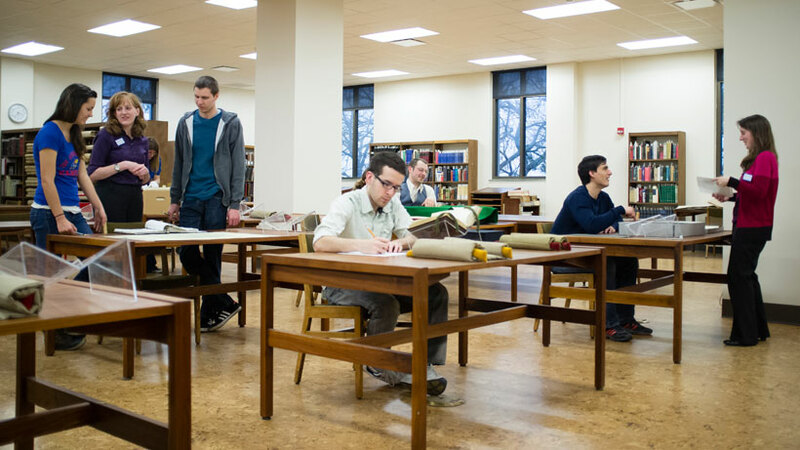 The library was built with a grant from his widow, Helen Foresman Spencer, who attended KU, and the family foundation. 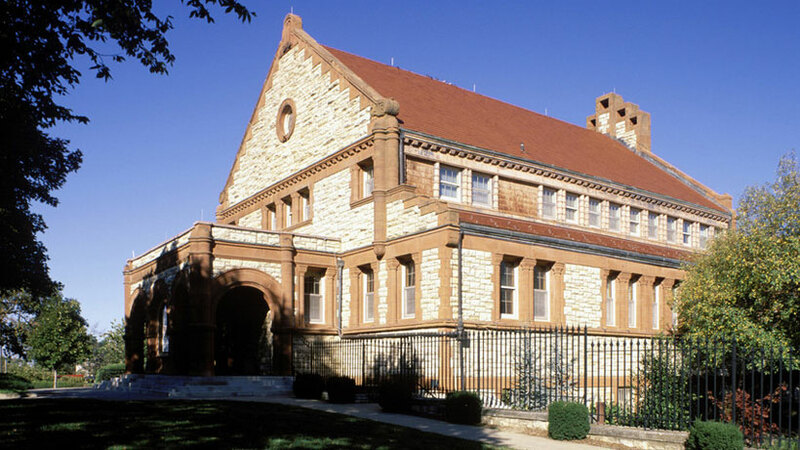 The university’s first library, this Oread limestone and red sandstone building was designed in the Romanesque Revival style by Kansas City architect Henry van Brunt, who also designed the first chancellor’s residence immediately east of it. 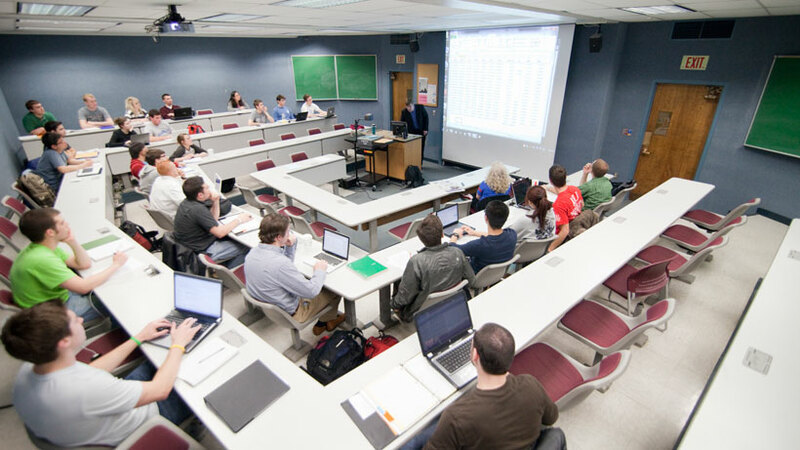 KU Center for Research Inc. purchased this 11,700-square-foot building, west of Bob Billings Parkway and Kasold Drive, in 2013 to house the School of Education’s Center for Public Partnerships & Research. That center is part of the Achievement & Assessment Institute, founded in 2012 to build partnerships and programs that support the success of young children, school-aged children, adults, and publicly funded agencies. Its four research centers also support research and job-training opportunities for KU students. The building houses the William Allen White School of Journalism & Mass Communications; administrative and faculty offices; classrooms; the Bremner Editing Center; the Kansas Scholastic Press Association; the Accrediting Council on Education in Journalism; the Kansas Journalism Institute, and the William Allen White Foundation. Opened in fall 1951, the hall houses men in two-person suites. Designed by Raymond Coolidge, it was partly funded by Mrs. Lyle Stephenson in memory of her husband, a Kansas City insurance salesman and amateur entomologist. It was built on the eastern edge of the Brynwood estate property obtained from Acacia fraternity by Olin Templin in 1939. Strong Hall is the main administration building for the Lawrence campus. It houses the offices of the chancellor, provost and registrar; the dean of the College of Liberal Arts & Sciences; director of Graduate Studies; senior vice provost for academic affairs; and vice provosts for administration and finance, faculty development, student affairs, and undergraduate studies. When it was dedicated April 9, 1960, this five-story yellow-buff brick building, designed by State Architect John Brink, was notable for the glass curtain wall on its south face. Summerfield was initially designed to house the University Computation Center, superseded in 1978 by the Price Computing Center to the east on Sunnyside Ave. These 19 two-bedroom units provide one-year housing for new faculty, unclassified staff, postdoctoral fellows and visiting scholars. The brick duplexes were built in 1955.